The Chinese New Year 2018 (CN) will be mid of February 2018. 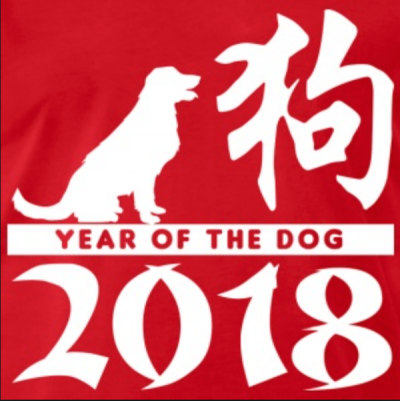 This year will be the year of the dog. As you may know, during this period of time seller like us that work with China will issue a notice about delay in delivery. Let’s see why this result in delivery delay all over the world. In China most of the dolls are made in he province of Guangdong (close to Hong Kong), and all the workers come from all over China to works in factories. The CNY in a period of time where all the families are together to celebrate this holiday like in US or Europe for Christmas. Because ALL the population is moving at the same period of time, all the industry is close (as well services – except emergencies) in the same time. It’a a few days in Hong Kong – Taiwan, but 1 week in China. All the shipping companies will stop working so we usually haste to deliver the goods before the cut off (it will be something around the 15th February this year 2018). As well, a doll takes usually 1 to 2 weeks to get ready, all dolls orders placed in January have good chances to be ship before the CNY, but for orders in February we can’t guaranty that the order can be shipped. Factories now try to shorten more and more the delay to have 100% production capacity but for the second part of February you can except delays as also shipping companies will be overwhelmed by parcels ! If you plan to buy a doll in the early of 2018 we suggest you to place your order in January, or after the Chinese New year 2018. Offices open before the productions line, si all orders received during the CNY will be queued in resolved in order. If you are fine with a week or two of delays you can place your order during the CNY and be sure to have your doll produced as soon as possible once the production starts over ! We will update the holidays schedules of the factories once we receive notice from them ! For this CNY, all orders before the 15th of January will be shipped before the factories holidays (9th of February). All orders after will be queued and resume the 23th of February after the holidays. Everything will be back to normal by the end of February. !